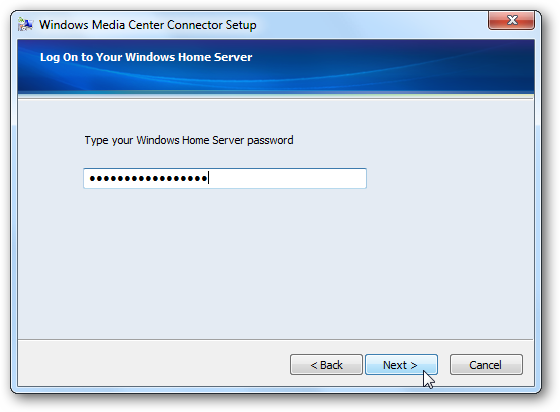 One of the advantages of Windows Home Server with Power Pack 3 is its integration with Windows Media Center. 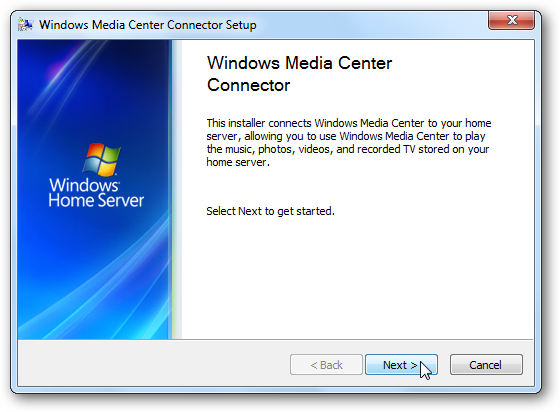 Here we take a look at installing the Windows Media Center Connector and the features it has to offer. 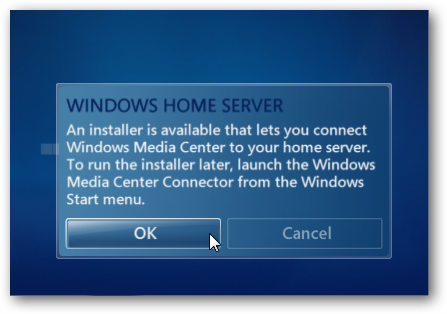 After you’ve installed Windows Home Server (WHS) you’ve probably noticed a message pop up when you start Windows Media Center (WMC). Just click Ok to that message, you don’t need to set it up right away unless you want to. We know we can set it up from the Start menu at any time. 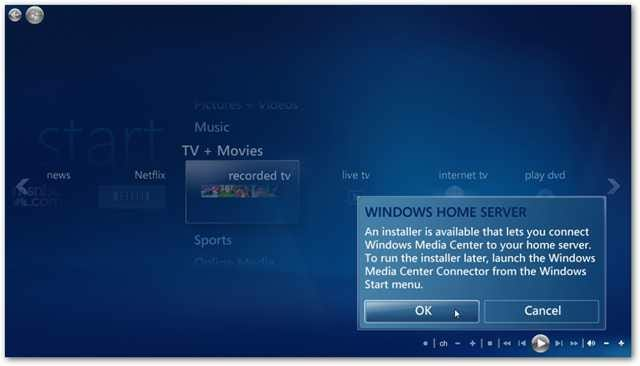 Here we take a look at installing it on Windows 7 Home Premium. 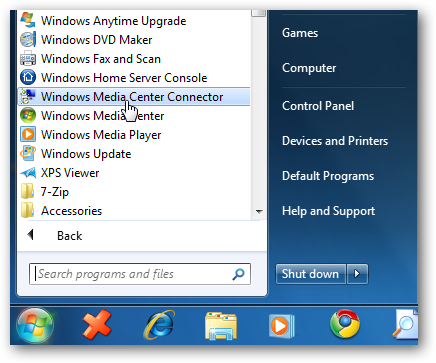 Open the Start menu and click on Windows Media Center Connector as shown here. That was easy! 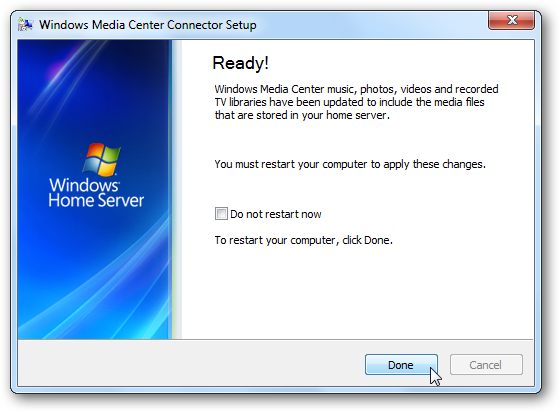 You’re all set…however a restart of the machine is required. 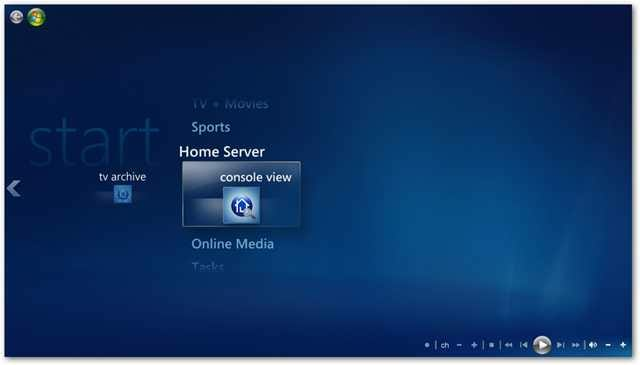 After returning from the reboot, open WMC and in the main menu you’ll see an entry for Home Server that includes TV Archive and Console View. 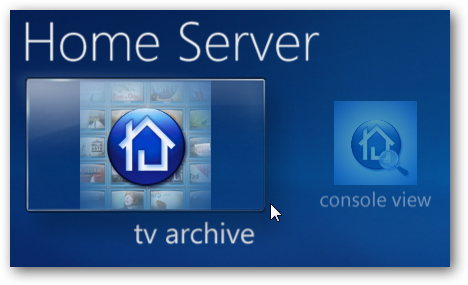 The TV Archive feature let’s you move recorded TV to your WHS with ease. 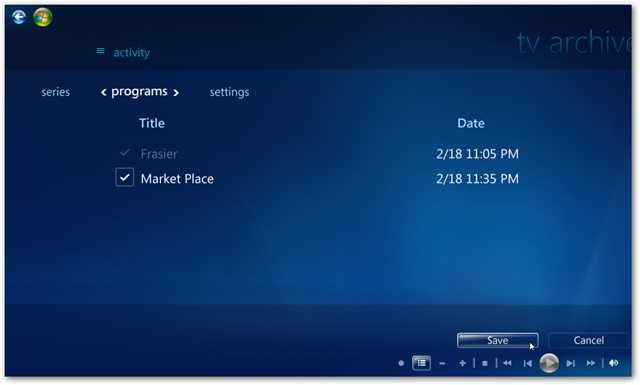 You can select individual shows or have all of your recorded programs archived to the server. You can have a compressed copy saved to the server or Public Videos folder as well. 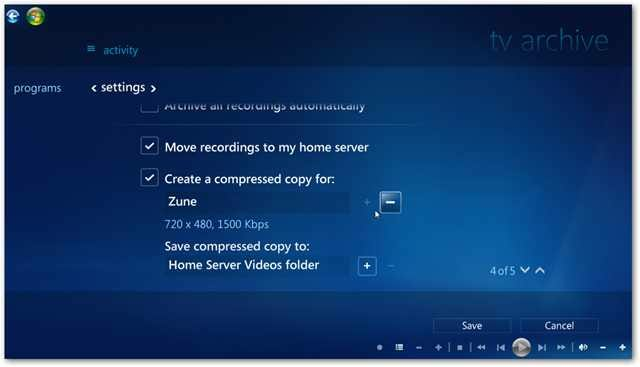 You can choose from Original Resolution, 320×240 for Windows Mobile, or 720×480 for the Zune –each in WMV format. The nice benefit to this is you can record your favorite shows and have the original and / or a compressed version stored on the server. The other neat feature is Console View. 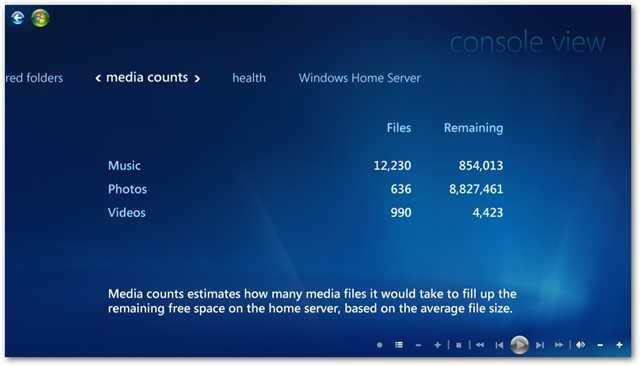 It lets you see different statistic about your server right from the comfort of your couch – or computer, whichever the case may be. 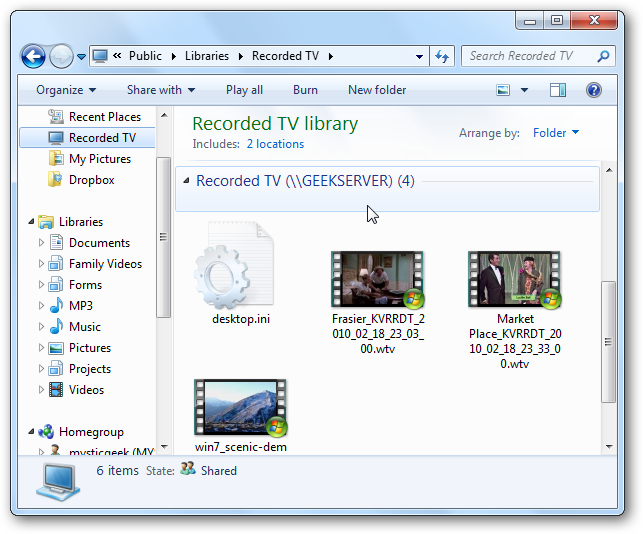 Now when you go into your Recorded TV folder you’ll see it is pulling the shows from the server. 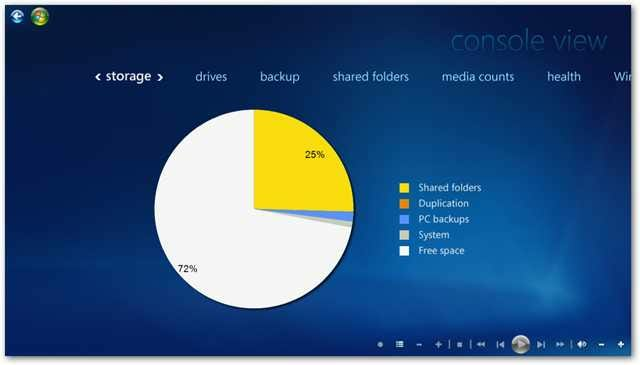 This saves drive space on your local machine, and relieves you of the hassle of manually transferring the files over. 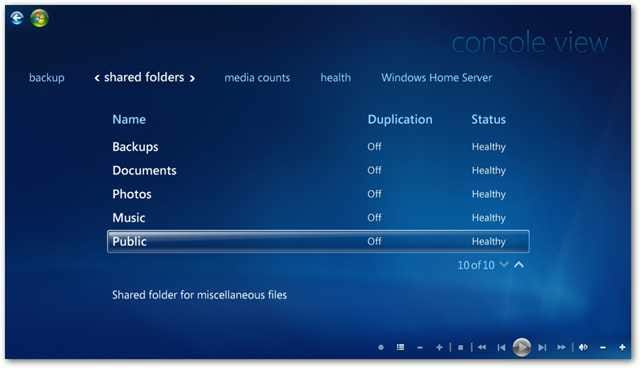 The Windows Media Center Connector adds additional functionality for managing your recorded TV files. It keeps them off your local machine’s hard drive saving you the hassle of moving them yourself. Also, having the ability to view basic server statistics from the couch is a definite plus too.